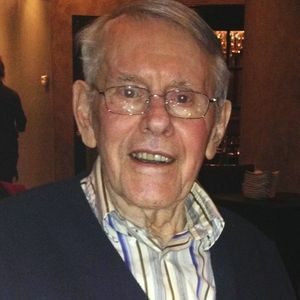 ROBERT L. ALTEMARE, age 91 of Parma. Beloved husband of the late Beverly B. Altemare (nee Lewis). Devoted father of Steve Altemare (Tina), Rebecca Ludwig (Wayne) and Rob Altemare; loving grandfather of Ryan and Paige Altemare, Travis Ludwig, Hanna White, Isabella and Sophia Altemare; dearest son of the late Leonard and Veronica Altemare (nee Lucas); dear brother of the following deceased: Kenneth Altemare; Dolores Buchak, Shirley Kuvinka and Clifford Altemare; cherished uncle and friend of many. Passed away on Monday, January 21, 2019. Memorials may be forwarded to the Greater Cleveland Food Bank, 15500 S. Waterloo Rd., Cleveland, OH 44110. Service at the funeral home on Saturday, January 26, 2019 at 12:00 PM. Interment at Brooklyn Heights Cemetery, Cleveland. Friends may call at the BUSCH FUNERAL HOME, 7501 RIDGE ROAD, PARMA FROM 4:00 PM-8:00 PM, FRIDAY, JANUARY 25.